What Is GPS for Children Tracking? GPS for children tracking are tracking devices with lighter materials for the convenience of young users. It could be a GPS watch tracker or a small kid tracker that can be attached to kids’ clothing, shoes, or bags. 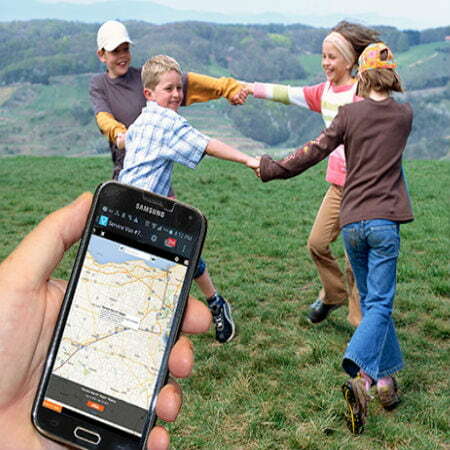 The GPS for children tracking can help parents find their kids immediately in case they wander away and go missing. Or worse, locate a child in the event a child is abducted. The device uses GPS technology, that is, a network of satellite on space to pinpoint the location of an object on earth. The satellite transmits data through signals and these pieces of information are then received by a GPS receiver. Using the information sent, the GPS device will then determine the exact location of the user. GPS tracking is offered by various companies as an added service by purchasing a GPS device. Parents will just have to subscribe to these companies and pay a monthly fee in order to avail of the service and track their kids. After turning on the device, it can be attached to the child’s belonging, then the GPS tracking system will start to monitor their movement within several feet. Depending on the types of GPS tracking device you have, some providers offer unlimited tracking while others set a limit to the number of times you can use the device for tracking subjects. Tracking information can be accessed through the Internet, or you may install a tracking app to your computer. You may also have to choose between doing the tracking yourself and just asking the company for the tracking information you need. Many tracking systems provide optional reports on the tracking device activity, but real-time tracking is also available. The latter is more expensive, though. Parents can use the GPS for children tracking to locate a child that is missing. The tracking device is capable of finding the actual address of a person. Parents can view the location using the tracking software or send a request to the tracking company for the tracking details. However, older children may oppose to using a tracking device. Nevertheless, a 3G GPS tracking for children is a useful parenting tool particularly for families with younger children. But still, nothing is better than the old-fashioned parenting.